Feeling like the good Mac days are gone? It doesn’t have to be that way. Just go down this checklist and as you tick each item off, watching as your Mac discovers a new lease on life. Do you know that feeling of fatigue you have when you've been working for hours on end without a break? That's how your Mac feels when it's been working long and hard, and you wake it up suddenly from sleep mode. Your Mac will be sluggish and slow. The easy fix is to restart your machine. This clears the back end cache and frees up system resources for a new session. Restart your Mac for changes to take effect. Taking the trash out of your house is good, but what if you let that trash accumulate on your lawn and your driveway? When you empty your trash, its not really gone, you just can’t see it anymore. To completely free up drive space of this invisible trash use CleanMyMac X and say goodbye to the trash for good. READ MORE: How to delete junk files on a Mac. The mess of icons on your desktop not only make things harder to find, but they can also impact Mac performance. These little icons, like a swarm, take up more system resources than you would think. Now take a look at your Dashboard app — another place on your Mac worth cleaning. While you’re at it, open Dashboard and hold the Option key while hovering the mouse pointer over dashboard widgets. This will reveal an X to close unnecessary widgets. READ MORE: Declutter your life: How to snap out of living in a mess. When you switch on your Mac in the morning, you open one tab. By lunchtime, you have five tabs and two windows open. By close of day, you have more tabs than you can count open on three different browsers. It’s time to face the fact: your browser is a resource hog. Get into the habit of closing windows and tabs that you don’t need. Reducing the memory usage in your browser is an effective way of boosting your Mac’s available system resources, and it doesn’t require rocket science – just discipline. Browser cache and cookies can also slow your Mac down. 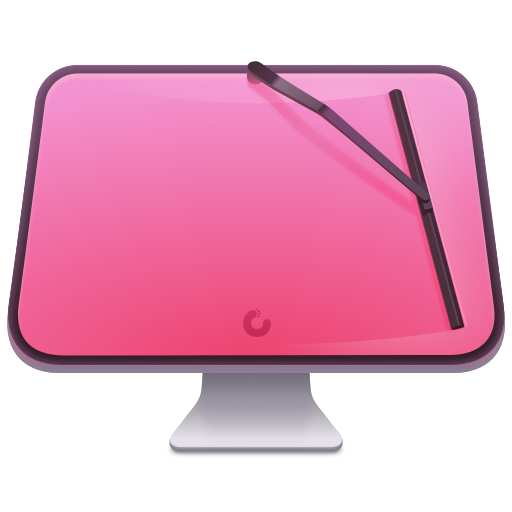 If you have CleanMyMac X, it’s as easy as selecting System Junk, clicking Scan, and clicking Clean. READ MORE: How to delete browsing history on a Mac. If your notifications are on, this feature will be running silently in the background. While it may be useful if you’re expecting an important email, or allow you to respond immediately to your latest Twitter mention, turning off notifications frees your system resources up to do other more important things. To turn your notifications off, use DO NOT DISTURB mode. Simply click on the NOTIFICATION CENTER icon while holding the Option button. You can also schedule Do Not Disturb mode by opening the Notifications pane in System Preferences. If your hard disks are too full, your Mac will run slower. That’s because free space is used as extra memory, and if there’s no wiggle room your system speed will hit a bottleneck. Deleting files that you don’t need gives your Mac more room to zoom. Junk system files (temporary files that are anything but) and duplicate files (files that are exact copies of each other but stored in different locations) are two kinds of files that waste space on Mac drives. You can manually spend hours cleaning up your files or get extra help from CleanMyMac X (to remove junk files in seconds) and Germini 2 (to automatically find duplicates so you can quickly delete them) and make the whole process take no time at all. TUTORIAL: Clean up your startup disk (10 Ways). Your Mac will index files to make your searches faster, but if you’ve recently added a lot of data, it could take a while for Spotlight to orient itself in a new forest of information. Reindexing Spotlight, or reducing Spotlight items can cut your search time in half. You can reindex Spotlight by choosing system preferences in the Apple menu and clicking on Spotlight. Click the Privacy tab and click the + button, and choose the location that you want to reindex. To speed up the generation of a new Finder window, change the new finder windows setting from “all my files” to a location where you know you store the files that are important to you. Pull down the Finder menu and Select “Preferences” in the Finder menu, and then set the “New Finder windows show” to the location that you want to limit Spotlight searches to. As you use your Mac, sometimes apps and programs will modify file and folder permissions. This can result in a loss of functionality for certain programs. From El Capitan onwards, Apple uses System Integrity Protection to automatically do this job. If you have an earlier version of OS X, you can repair permissions from the Disk Utility. This can be found in Applications > Utilities > Disk Utilities. Crashes can also cause corruption for your system preferences. When deleted the programs will recreate the preferences just like new. It can be scary to know what to delete so let a professional like CleanMyMac X do it for you with the System Junk module. If your Mac is doing strange things like wonky audio, booting up with the wrong resolution and other things that make it seem like your Mac has had one too many drinks, it may be corrupted NVRAM (or PRAM in older Macs). As serious as this sounds, the cure is quick and painless. Shut down your Mac, press the power button, and hold down Command-Option-P-R before you hear your Mac’s startup tune. If you keep these keys depressed, you should hear the startup chime for the second time. As a measure of last resort, try resetting the System Management Controller. 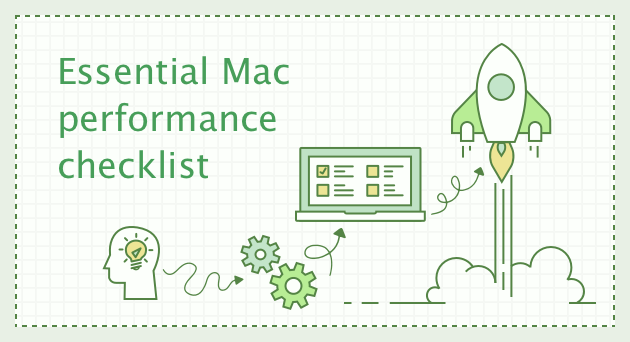 Unlike the NVRAM / PRAM fixes, these fixes are dependent on the type of Mac you have. If you don’t keep your Mac fresh with the latest Mac OS X software updates, you’ll probably fall behind very quickly. To save the hassle, why not set your OS X to update automatically? If you find that you’re having problems that you cannot solve, try reinstalling your OS X and failing that, rolling back to a previous version of OS X.
Don’t forget that your apps also need to be up-to-date. Updates have improvements and fixes, so always make sure you’re using the latest versions. You can usually set most apps to auto update from the App store. READ MORE: How to upgrade your Mac to macOS Sierra. If you’ve done all your can to get your software firing on all cylinders, the last time is to look at your physical hardware. A few changes here and there and it will be like you’ve bought a brand new Mac. WiFi – Test your wireless network. Sometimes it’s not your Mac that’s slow; it’s the delivery system to it. Hard Disk – Mechanical drives degrade with use. A new, bigger hard drive would be a good step. The speed of a new SSD would be a great performance leap. Memory – If performance is lacking, throw some RAM at the problem. More memory means better performing applications. RAM it home! READ MORE: How to upgrade RAM on your Mac. You don’t have to follow all of these steps to make your Mac move at warp factor 10 again. Just doing some of these steps every few months will improve your Mac’s performance and possibly add years of extra use. Certain steps are trickier than others, but fortunately a lot of them are made easier, safer and quicker with Mac maintenance software like CleanMyMac X.
Bookmark this page, so next time your Mac is slow, you know exactly what to do.